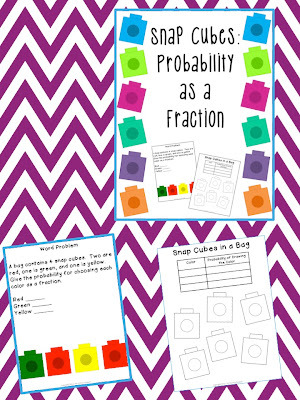 Classroom Freebies Too: Probability Fun with Snap Cubes! 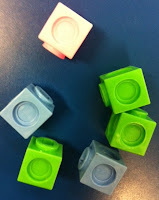 Probability Fun with Snap Cubes! Hey freebie fans! It's The Math Penguin here. I've been giving out math freebies to launch my blog all week and here's the sixth one! Teaching probability with manipulatives is a lot of fun! I always enjoy teaching my students about probability, so I took one of the ideas I use and turned it into a freebie for you. Most of us have snap cubes or colorful foam blocks lying around. They make for great impromptu, go with the flow probability lessons! 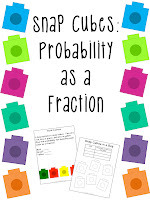 Click the pic to check out Snap Cubes: Probability as a Fraction in my TpT Store.